RALEIGH, N.C. – In a hard-fought battle to the end, the Clemson Tigers (14-6, 5-2) came up short, 54-51, to No. 8/8 North Carolina State (19-0, 6-0) at Reynolds Coliseum on Thursday. Putting forth a solid defensive showing, the Tigers limited the high-scoring Wolfpack offense to just 54 points on 38.3 percent shooting, including a 3-of-22 output from beyond the arc. Forcing 21 turnovers, Clemson nearly pulled off the comeback, thanks in large part to several key steals in the fourth quarter. Guard Simone Westbrook put on a veteran performance, tallying 18 points and four rebounds to go along with her five steals. Continuing to produce off the bench for the Tigers, senior Aliyah Collier notched her first double-double of the season with 13 points and a season-high 13 boards. 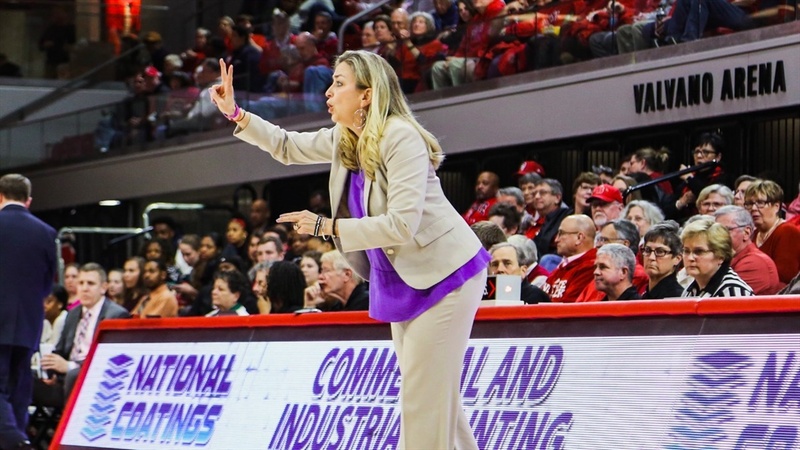 Following an evenly matched first half that saw the Wolfpack up, 30-25, at halftime, NC State gradually stretched its lead to 11 points with eight minutes to go in the final frame. However, Clemson did not back down, limiting the home team to just six points in an intense fourth quarter that came down to the wire. Manufacturing a commanding 14-2 run, the Tigers capitalized on three straight backcourt steals to make it a one-possession game with 4:43 to play in the game. Just 20 seconds later, Westbrook converted a fast-break layup off a dish by Collier to put the Tigers ahead, 51-50. Despite a defensive battle in the final minutes, NC State sunk a pair of layups to stave off the Clemson comeback. Following a week of rest, the Tigers will take on No. 1 Notre Dame (19-1, 6-0) in Littlejohn Coliseum on Thursday, Jan. 31. The opening tip is scheduled for 7 p.m. and the game will air on ACC Network Extra. It’s Pack LJC night as the first 4,000 fans will receive free jersey-shaped rally towels. All single game tickets are on sale for adult and youth/seniors at $6 and $4, respectively. Children 12 and under are free. Single-game and season tickets can be purchased online or at 1-800-CLEMSON. All seats for women’s basketball are general admission. Senior Aliyah Collier posted her first double-double of the season (ninth of her career) with 13 points and 13 rebounds…Guard Simone Westbrook led all scorers with 18 points for her 15th double-figure game this season…Clemson forced 20-plus turnovers for the ninth consecutive game (14 on the year)…Sophomore Tylar Bennett tallied her 10th multi-block game of the season with three against NC State…54 points are the fewest points scored by the Wolfpack this season and Clemson’s 3-point loss is the only one-possession victory that NC State has recorded this year…The Clemson defense held NC State to 38.3 shooting percentage from the field, the second-lowest mark for the Wolfpack on the season.